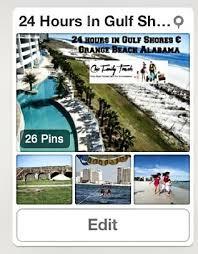 Our love for Orange Beach and Gulf Shores has extended to Pinterest ! We want to make your Alabama beach vacation as memorable and seamless as possible with ideas on things to do on our beloved Gulf Coast. We have pinned some pretty cool things to do while you are on vacation such as renting a pontoon boat with a water slide to explore the back bays and islands of the Alabama Gulf Coast. We want to inspire you with things to do and places to rent in Gulf Shores and Orange Beach Alabama. We will be pinning each of our Alabama beach rental properties on our pinterest boards. Thus, you can re-pin your favorite condo or beach house on your own vacation pinterest board. Don’t forget that you can pin any of our vacation rental website pages to pinterest as well ! Are you as obsessed with pinterest as we are? !